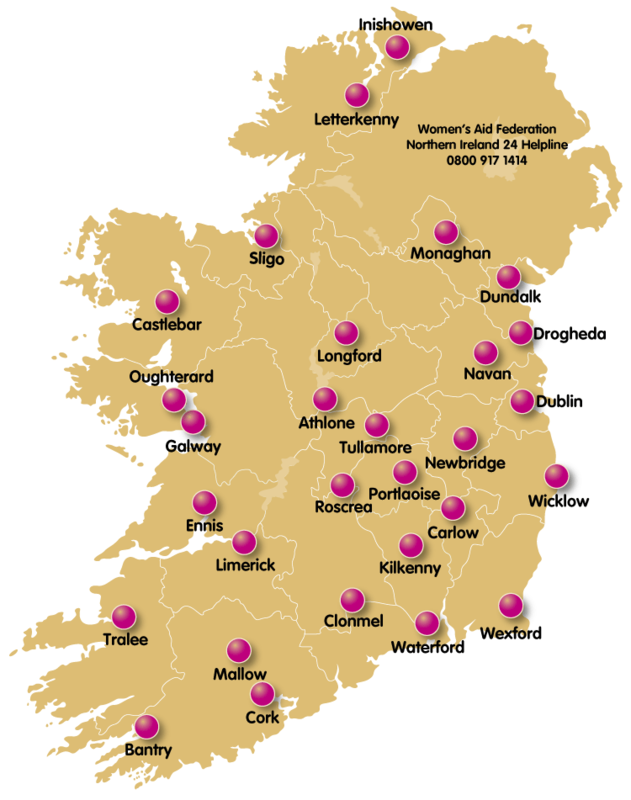 Safe Ireland has 37 member organisations, who offer a range of services to women and children experiencing domestic violence. Safe Ireland has been working with frontline domestic violence services across Ireland for over 15 years. We support their capacity to develop, and adapt, their services based on the needs of the women and children they help. We work closely with our members, building a movement for social change. We work closely with our membership to explore the causes and consequences of domestic violence and to establish the needs of women and children who experience it. Through our research and consultation programmes we identify areas for service development. We then work with all of our member services and relevant external agencies to address the gaps. We support good governance and best-practices across the services of our members. We do that by providing technical assistance, mentoring and information and providing opportunities for professional development. We test new initiatives, identify the best of them and then work with the sector to implement these. We provide a national platform for our member organisations to collaborate with each other as a sector.